The first ranked Nation will qualify for the Men´s Under 18 World Championships Top Division next year in 2020. 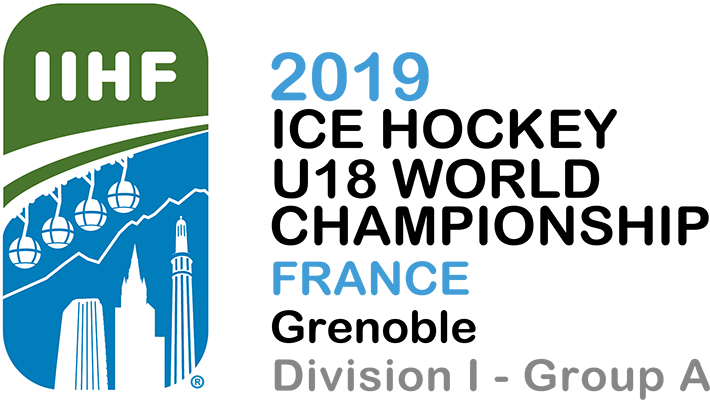 The last ranked 6th Nation will be relegated to the next year´s Men´s Under 18 Division I Group B World Championships 2020. Germany have qualified for the Men's Under 18 World Championship 2020 Top Division. *Germany is already the Tournament winner and the Promoted team for the next years Men´s Under 18 Top Division World Championship. *Norway, France and Ukraine are all still fighting for the maintain in this division. **NOR - will avoid the relegation if they earn at least 1 point in the match against Ukraine. Even a Regulation Time lose may be enough if Germany beat France (it doesn´t matter if in Regulation Time or after overtime/penalty Shoot-Out). ***FRA - will avoid the relegation if they win over Germany (it doesn´t matter if in Regulation Time or after overtime/penalty Shoot-Out), A OT/PSO lose may be enough as well but Ukraine can not beat Norway in regulation Time, A Regulation Time Lose may be enough too, but Ukraine can not beat Norway (it doesn´t matter if in Regulation Time or after overtime/penalty Shoot-Out). ****UKR - will avoid the relegation if they beat Norway in Regulation Time, A OT/PSO win will be enough as well, but Germany must beat France in Regulation Time.